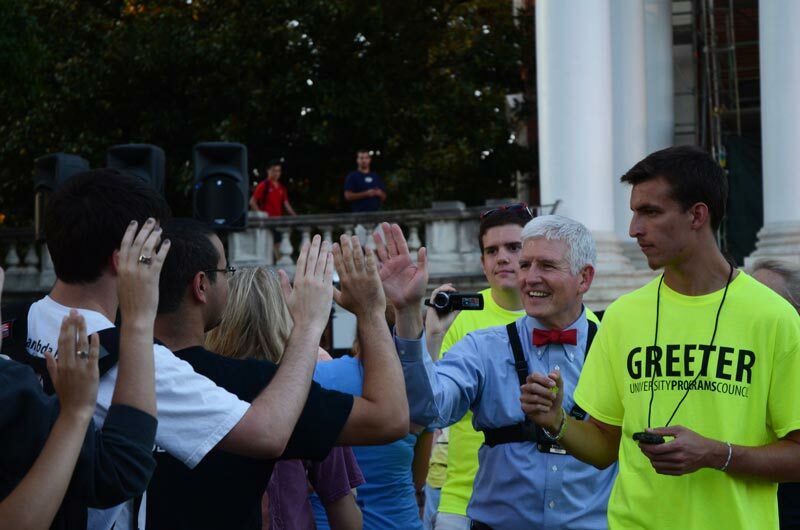 On the evening of September 4, before the annual Rotunda Sing event, UVA's Dean of Students Allen Groves made an attempt to break the Guiness World Record for "Most High-Fives by an Individual in One Hour." 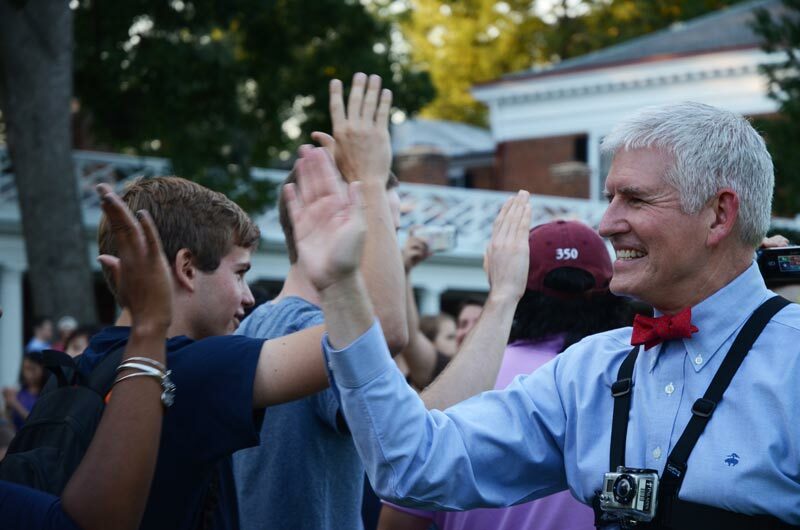 He needed 1,740 high-fives to beat the record and students flooded the Lawn to help him out. 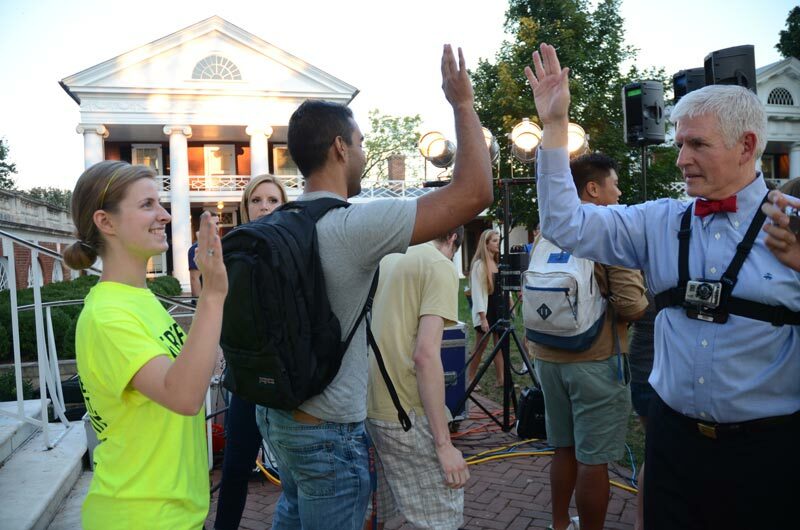 By the end of the hour, Groves had shattered the previous record with a whopping 2,470 high-fives. 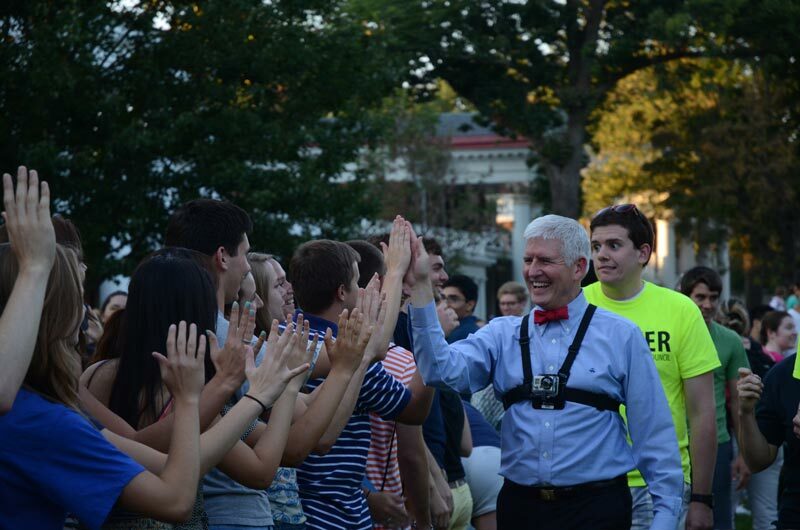 Before the hour began, the emcee explained the rules to the crowd of students gathered in front of the Rotunda steps. "Don't slap too hard," he said. Dean Groves stepped in and took the mic. "I have the power to suspend you," he said, and the crowd erupted in laughter and applause. 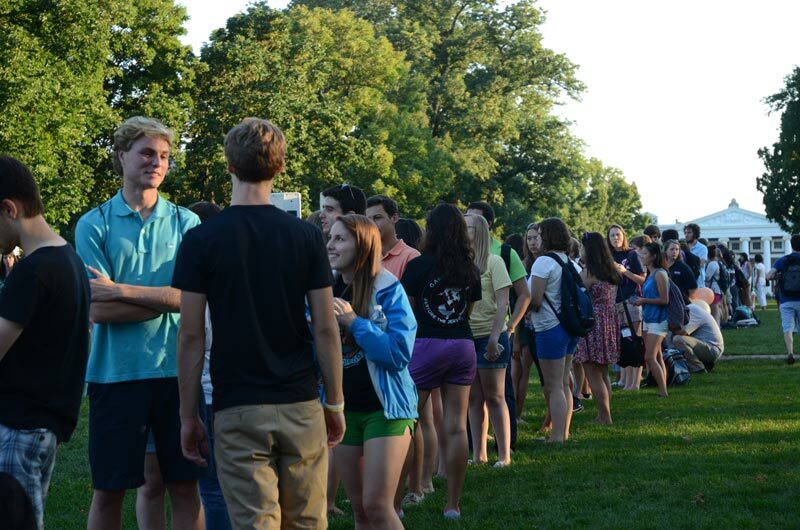 Eager students began lining up a few minutes before the event began. As they got into position, volunteers explained the rules. 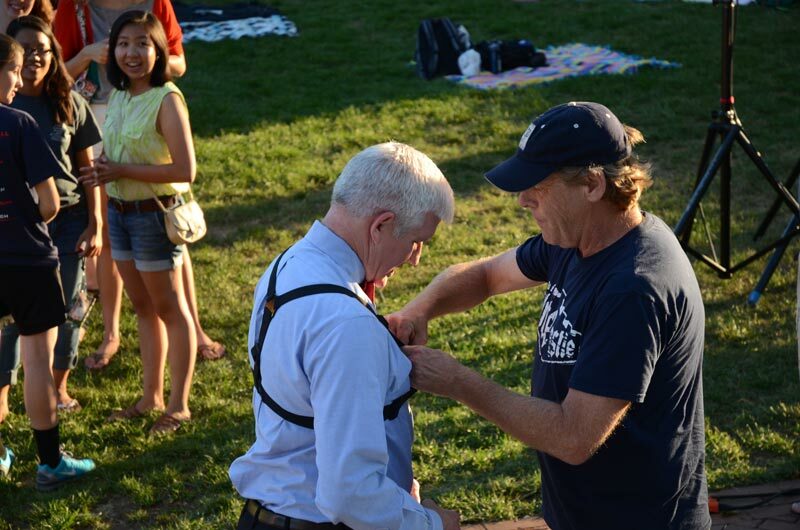 Before his first lap of the Lawn, Dean Groves was outfitted with a wearable camera. 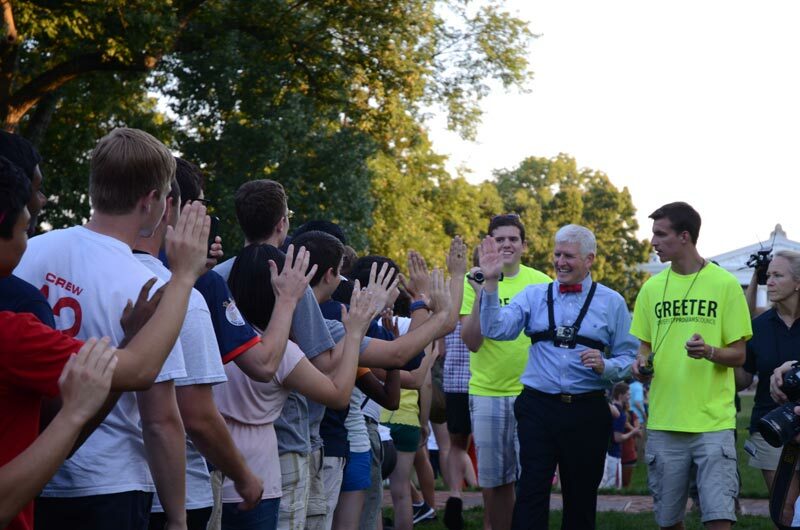 In order for the high-fives to count, Dean Groves had to walk toward the person whose hand he was slapping. 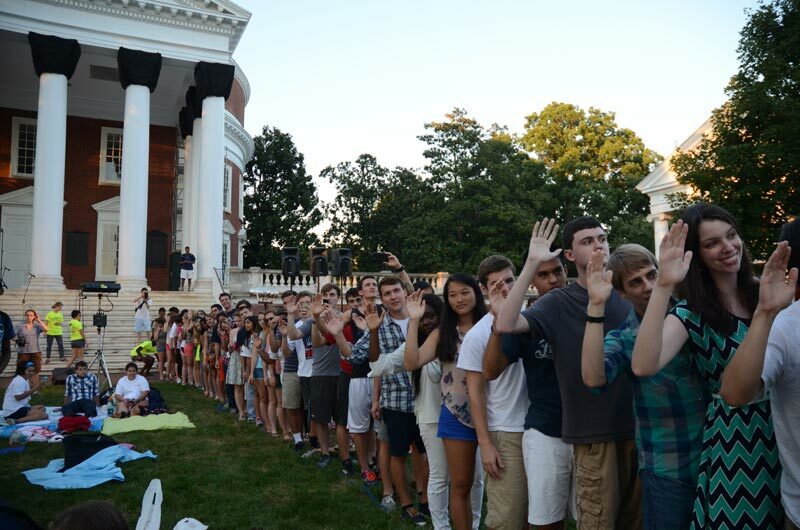 Students were asked to line up behind a bright blue rope laid down on either side of the Lawn, stand in place and hold their hands up high. Groves walked from the steps of the Rotunda to the south edge of the Lawn and back several times over the course of the hour. He smiled and laughed the entire time, high-fiving students and thanking them for coming out to be a part of the attempt. Students snapped photos, chatted, cheered and danced along to music as they waited. 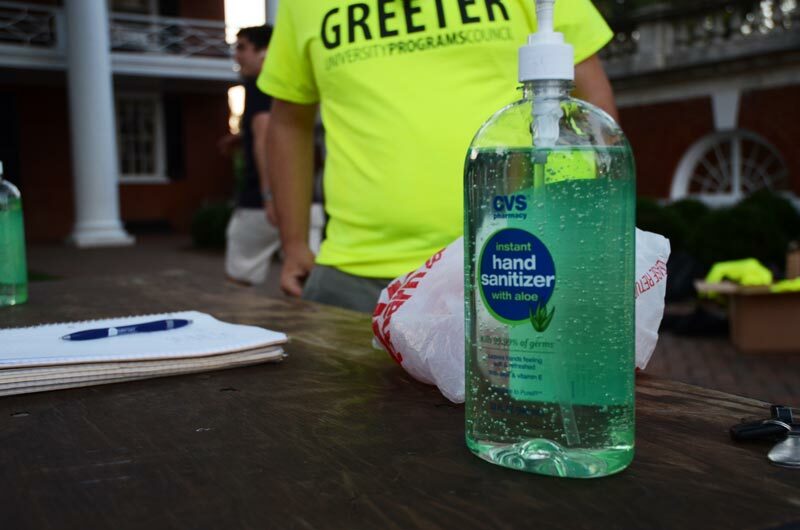 Student Council thought ahead and brought along some hand sanitizer. 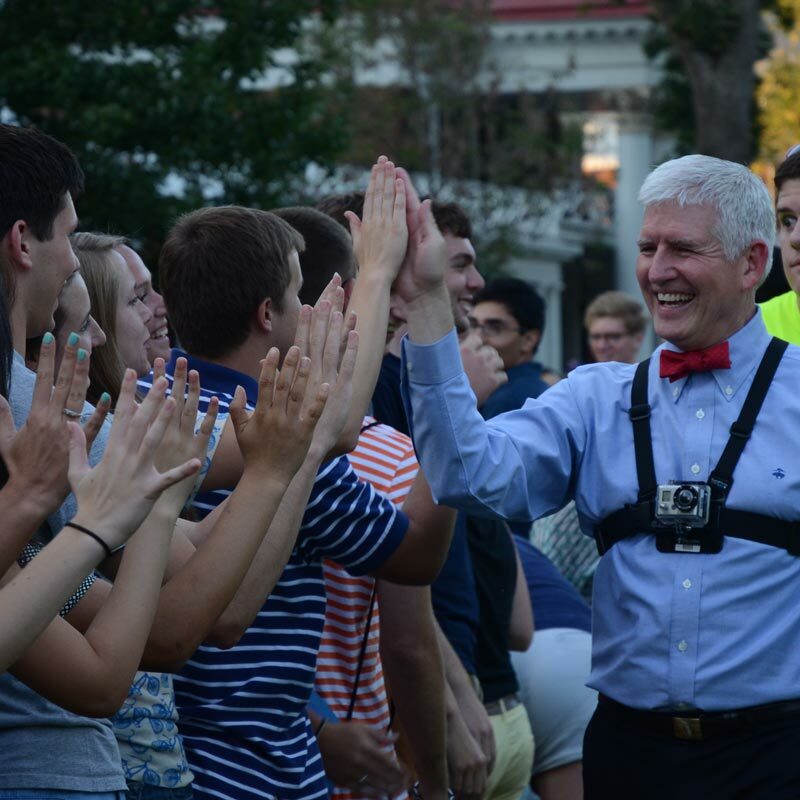 After each trek down and back up the Lawn, the dean took a brief break as more students stepped into line. He could high-five each person only once, with one hand. Two students with tally counters kept the running high-five total. 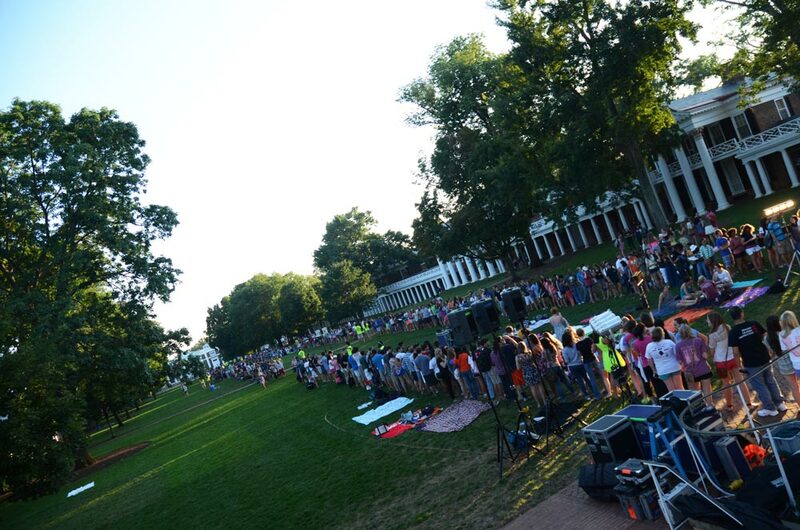 By the end of the hour, students were running to the south end of the Lawn to participate. 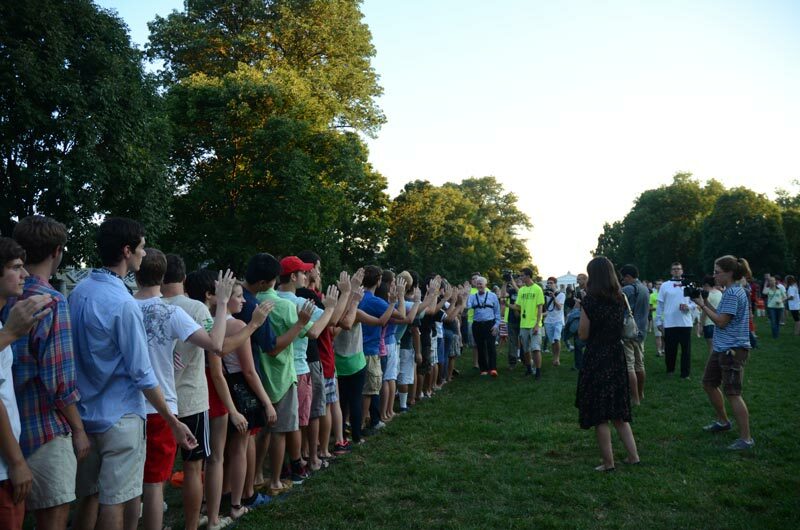 Dean Groves shattered the previous record, held by a New Jersey high school student, logging 2,470 high-fives in one hour.